My son just turned 5 April 12th this year. I have been working with him for quite some time now and I am not sure I have taught him everything needed to start Kindergarden level. What can you tell me or what does he need to know before fall gets here? He is quite hyper as well so I do things when his attention is focused mostly. He does have a Leapster Explorer too so writing letters and numbers are being done that way but I am not sure he is really focusing on them. So when he is doing them I try to make sure he pays attn. I have so much more to ask but I know I don't have room and time and you certainly don't need me to write a book of questions. I just need to know what is needed for Kindergarten level basically. Thank you, Ginger. Hi Ginger. A book of questions sounds great actually! Although it would take some time to write the book of answers! You son is still young and I think it is hard for boys especially to focus at that age. I remember I had to let my son wriggle a lot when working with him. So if he needs to move or hang upside down or jump around to help him concentrate - then that is all fine. Just let him do it. I am probably not the best person to ask about what level a child should be at at a certain age. I never really worried as long as mine were happy and learning. I think with homeschooling it is easier to address things as they come up. Plus kids change so quickly at that age - what you feel they will never master one week, they are happily learning the next! I found this checklist for you of things they should be able to do before kindergarten. Here is a teachers month by month curriculum for the first year of kindergarten so you can see what they cover. I am sure you have already touched on some of those subjects. I hope that makes you more comfortable that you and your son are doing just fine! 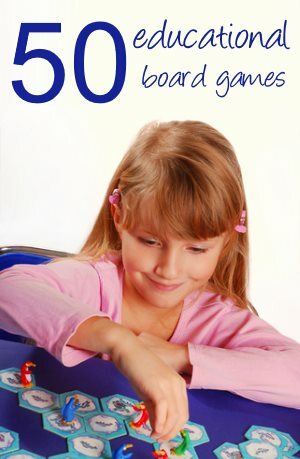 Go to Homeschooling Help from Homeschooling for Kindergarten. 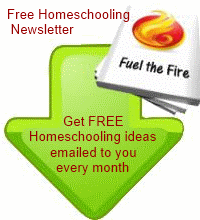 Go to Homeschooling-ideas Home from Homeschooling for Kindergarten. Kindergarten is when we started our homeschooling journey. A book that helped me is "What your Kindergartener needs to know" by John Hirsch (he has a book for every grade level). It sounds to me like he is doing great (I love the leapster products). Another idea is to give him lots of "experiences" like field trips - having knowledge of other things will help him to relate to the material in class - i.e. learning about bugs - if he's been on a nature walk and has snapped pictures of different bugs and then learned how to identify those bugs from pictures in books - he'll have a lot to stay in class about bugs which will help with keeping his interest level. Thank you Julie, I have done a lot of PreK stuff with him and I see there is still a lot I need to do with him for the PreK level as well, but luckily Official Homeschooling isn't required till 6 yrs old here so I guess I still have a lot of time to work with him to get him ready for K and 1st grade levels. But if I decide to put him in Public school if for some reason I feel I can't handle doing the homeschooling then I want to be sure he is ready for Kindergarden. Ginger.